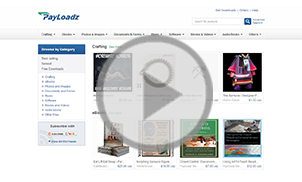 A detailed article about A Step By Step Guide to Sell eBooks Online. It would be safe to assume that there is a writer hidden in every person who likes to express himself. Moreover, there is definitely a dream in every individual to lead a relaxed and easy life wherein one can do whatever one wishes and as much as one wishes. A life where there are no worries or pressures. While many people think that this kind of life is a myth, there are hundreds of people in the world who are leading it by just deciding to write and sell eBooks online. If you decide to sell eBooks online and actually stick with the plan long enough, you will see that the whole process is extremely easy and highly lucrative. In fact, if you sell your eBooks online, you would not have to worry about any of the conventional business worries such as storage space, distribution costs or, for that matter, even production costs. In addition to this, if you can say to yourself that ‘I will sell my eBook online and make it work’, you would be able to establish an income stream that would last for the foreseeable future without any extra investment. As is obvious, before you actually sell eBooks online, you would need to create one. Creating the eBook is, debatably, the most crucial aspect of the whole process of selling them online. The reason for this is that unless your eBooks are of good quality and cater to an already existing demand in the industry, you would not be able to sell enough of them. Consequently, choosing the subject on which you will write and sell your eBooks can make or break your whole effort. There are several tips that can help you choose the right subject before you sell your eBooks online. The most important would be that you choose a subject that you are comfortable with. As you are going to be spending a lot of time writing these eBooks, you have to ensure that you are not only able to sustain your interest in them but also able to do justice to the chosen topic. 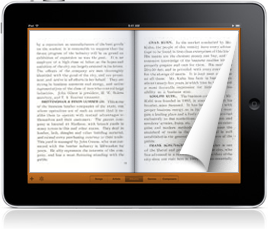 However, it is also important for you to research what kinds of eBooks are popular in the industry. For example, if there are a lot of people who are able to sell eBooks online of similar types then you can assume that such topics will sell for sure and focus on them. Once you have a product that you can sell, your next task is to establish a virtual storefront from where you can sell your eBooks in comfort. This process involves choosing and purchasing the right domain name, followed by designing a website and finally putting it up. You have to make sure that the website that you set up to sell your eBooks online has a design that is conducive to your area of concern. Moreover, the design of the website also needs to be good because research has shown that potential buyers can easily get put off by a poorly designed website. After your virtual storefront is set up, you would have to establish a good backend system that will allow you to sell your eBooks to various customers easily. This means having a digital product shopping cart, a digital product delivery system and a payment system that is designed specifically for eBook sellers. The digital product shopping cart for eBooks would have specific features for people who want to sell eBooks online, the digital product delivery system would ensure that text products are piracy protected, and the payment system would guarantee smooth and flawless payments for eBooks sellers. It is also worth pointing out that, if you want to sell your eBooks to customers hailing from different nations and regions of the world, then you should look for a digital product payment system that is compatible with multiple currencies, multiple languages and even multiple payment gateways. Payment gateways you should look to include Google Checkout, 2Checkout, Trial Pay and Amazon Payments amongst others. However, you should also know that the majority of business on the internet is done through PayPal which is why you need to sell eBooks through PayPal first and the rest after. In fact, every customer that you want to sell your eBooks to would read the accompanying content to judge whether he wants to buy your eBooks or not. Hence, it is crucial that you pay as much attention to the accompanying descriptions as you did when you were writing your eBooks. It is also important for you to keep in mind the principles of search engine optimization when writing your website’s content, because it would end up determining how many customers you attract and how much you are able to sell your eBooks. In order to get people to come to your website and look at what you are offering, you have to first attract them. For this, you will need to put in place online marketing and search engine optimization techniques for your website. However, an even better way would be for you to start selling your eBooks on established digital product marketplaces such as PayLoadz. The reason why you should sell your eBooks in such marketplaces is that they give you access to a pre targeted customer base which, in turn, improves your chances to sell eBooks online. 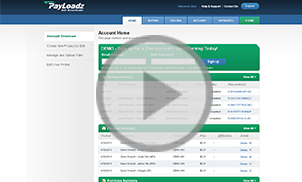 In fact, sites like PayLoadz provide the full service to people looking to sell eBooks online. They not only have a digital product marketplace but also provide backend services such as customized shopping carts, elaborate digital product delivery systems and multiple payment systems compatibility. In addition to this, these types of websites are even more suitable for people looking to sell eBooks online because they have affiliate marketing systems that turn out to be very useful for such sellers.